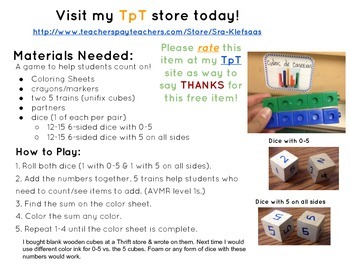 These math activities are available in Spanish and English. Students roll and color 5 + to help them begin to count on. 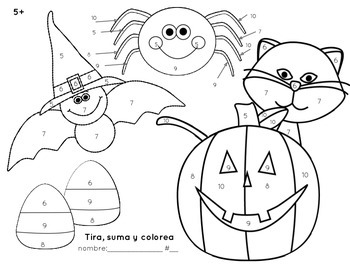 There is one Fall and Halloween sheet available in both Spanish and English. You need to make/use dice with 5 on all sides and dice with 0-5. There is a directions page with a list of materials needed. 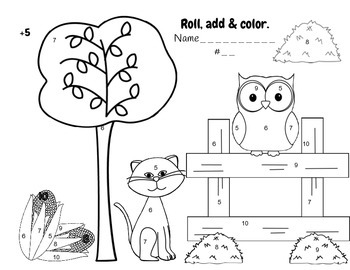 Enjoy this free activity! Please remember to rate this product! Your input is appreciated!